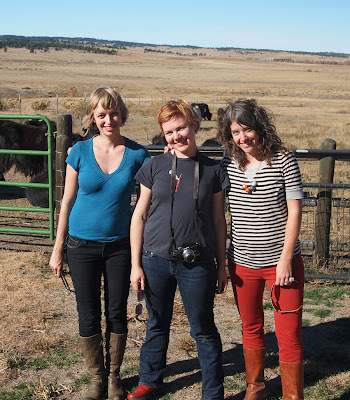 Amber and I had many fun adventures with Ysolda while she was here. 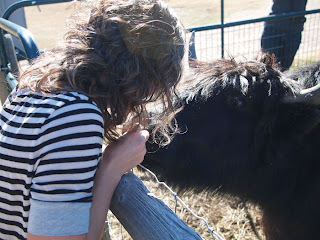 Our most magical day was spent out on the eastern plains on a visit to Bijou Basin Ranch. Carl gave us a very educational tour of the ranch and we met so many yaks! 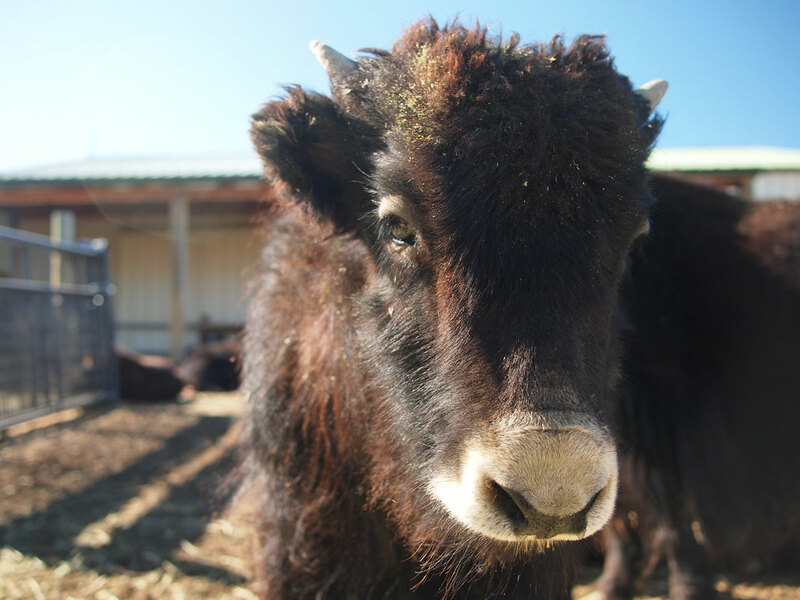 Tibetan yaks are large, kind animals who have a soft, downy undercoat that makes a high quality luxury yarn. The yaks are combed by hand once a year in the spring for their fiber and they get to spend the rest of their days just chillin' on some gorgeous prairie. There were about a million baby yaks born this year on the ranch so there were lots of curious little faces to meet. I fell in love with Onyx, the most beautiful and amazing yak of all time. Here we are getting to know each other better with a soft nose-kiss. Onyx was shy, but super sweet once he decided I was his new best friend. If anyone wants to get me a present, you could wrap Onyx in a bow and deliver him to my backyard. 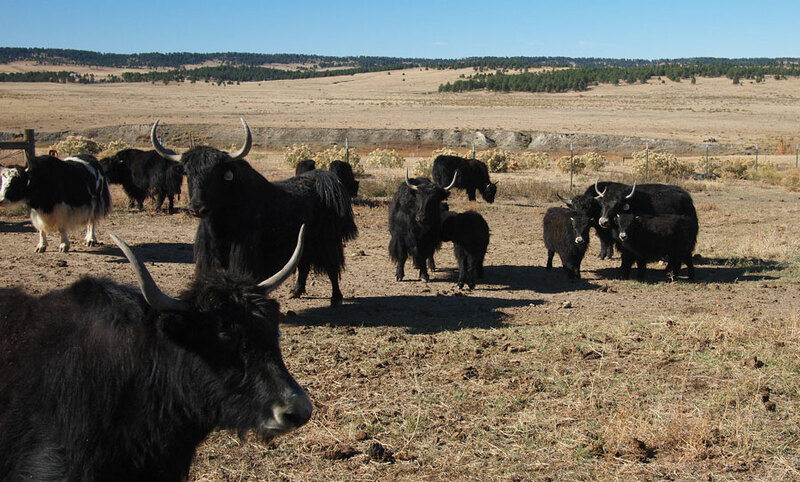 There are about 20 yaks who live out on the ranch. 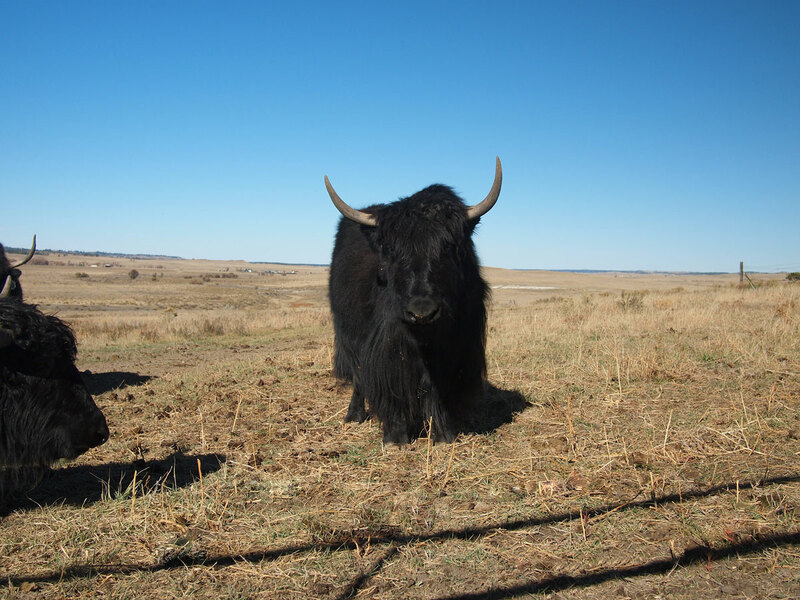 Eileen and Carl use all of their fiber, but they also buy yak fiber from other yak owners around the world to use in their amazing yarns. You can purchase their yarns directly from the ranch here. 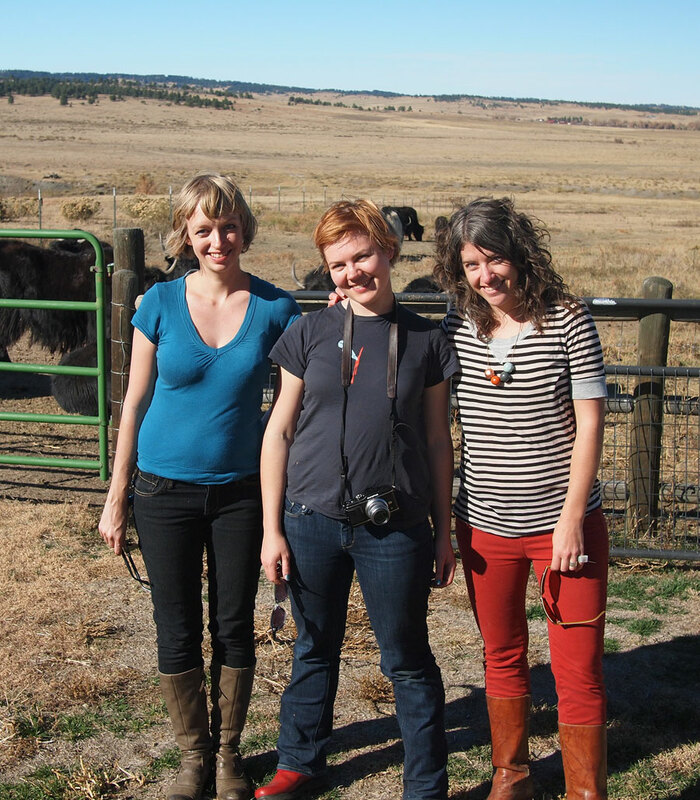 Of course, we couldn't resist a photo shoot what with all those cuddly yak faces and all that vast prairie. Thankfully, Ysolda brought plenty of hot knitwear to photograph and Amber and I were her happy and willing models. On the way home, we stopped at another spectacular photo location, an old ghost town somewhere in the heart of Elbert county. 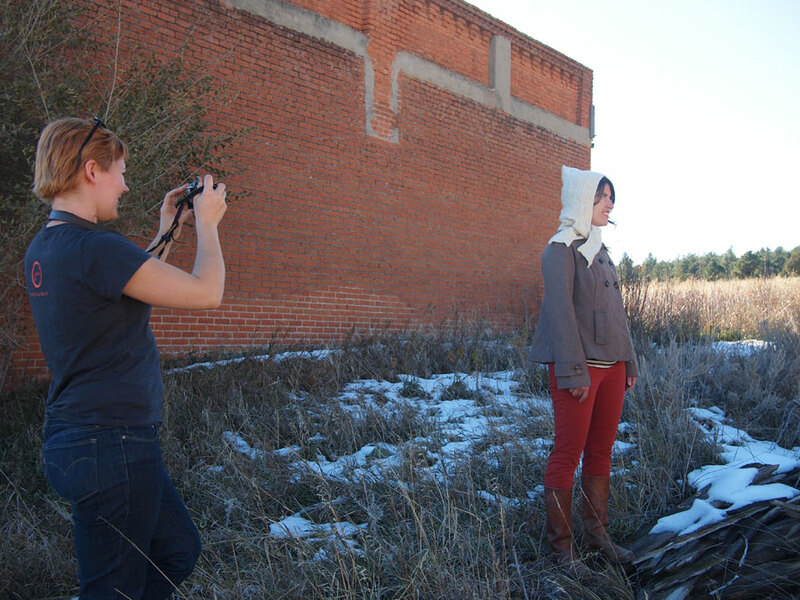 I hope these photos turned out great. Maybe you will see us in an upcoming Ysolda book? Here's hoping! Thanks for the fun times, Ysolda, Onyx, Carl and Bijou Basin!